Our students learn from multiple Grammy Award winning engineer John Dunkerley in a recording session with the Royal College of Music. 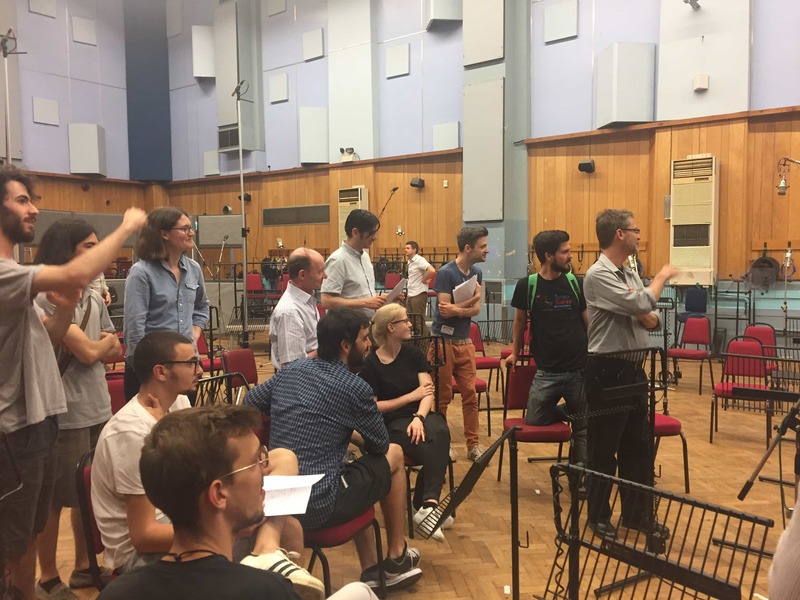 The next generation of music producers and sound engineers along with Institute Programme Director Carlos Lellis, our alumni Hugo Bechstein and multiple Grammy award winner John Dunkerley were recording with the the fantastic philharmonic orchestra from the Royal College of Music. 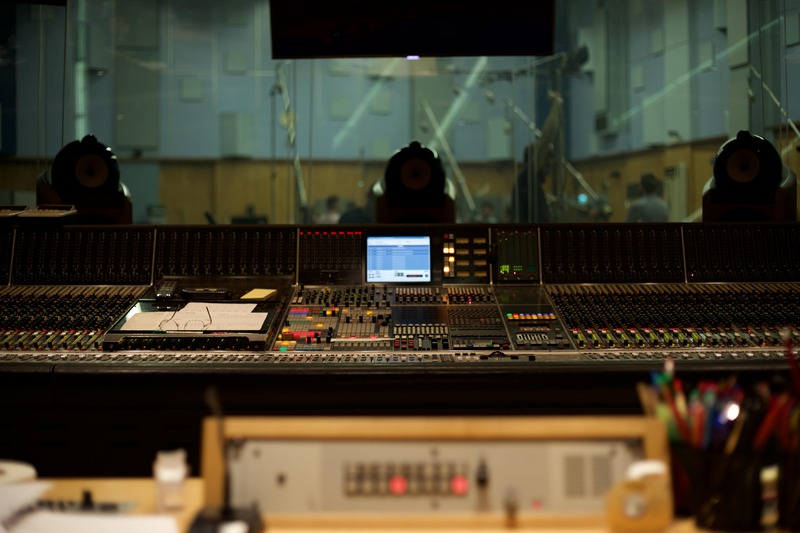 The day for our Advanced Diploma students started at 7:30am, when they arrived in Studio One at Abbey Road. Together with Carlos and John, they were setting up the studio for the 77 piece philharmonic orchestra. 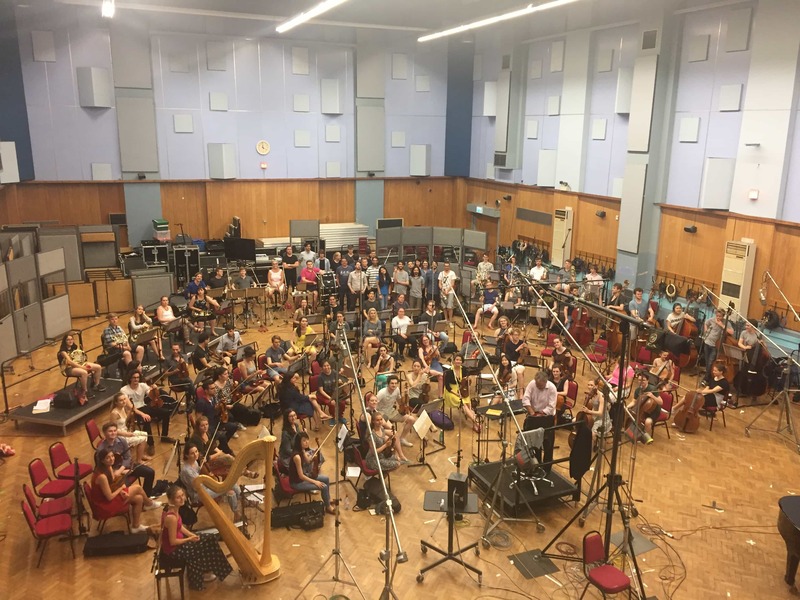 During the session they were recording Rimsky-Korsakov’s most famous and popular work, Sheherazade – a dazzling orchestration based on the One Thousand and One Nights Arabian stories – and a new work by RCM Concerto Competition winner Joel Jarventausta – Cantus. The orchestra arrived at 9:30am together with their Conductor Martin André. Martin has been closely associated with the Royal College of Music since 2000 and is a Fellow of the College. 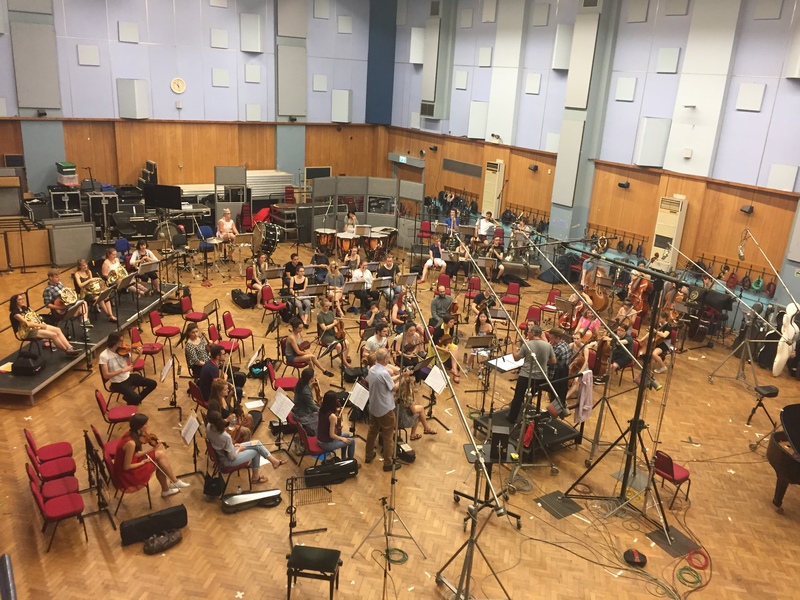 The Studio was filled with the angelic yet powerful sound of violins, cellos, flutes and co. During the rehearsal, the orchestra tuned their instruments whilst John and the students were in the control room to get everything ready. Our students were split up into two groups to work more efficiently. One group was based in the live room and the other group were assisting John and Hugo in the mixing control room. 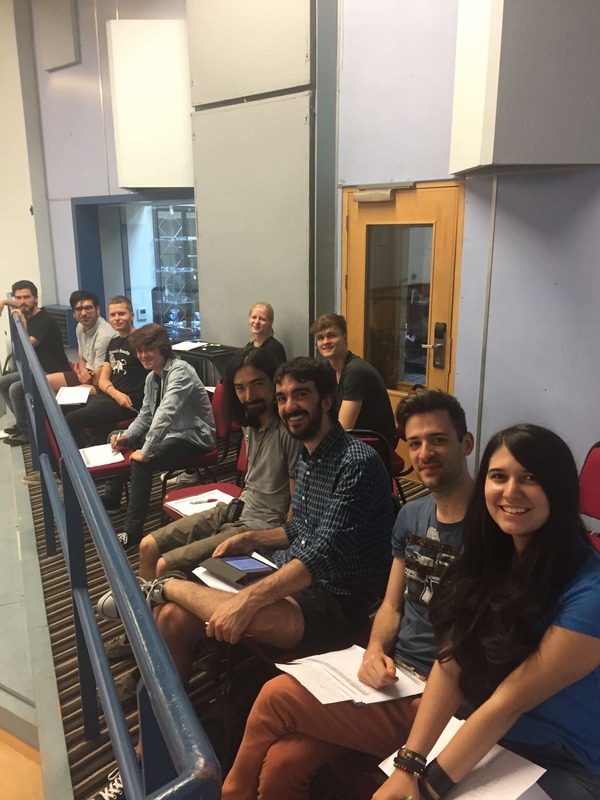 Our students were provided with the score of the music pieces, along with the seating plan of the orchestra in order for them to monitor the different takes they recorded, and to make a note of John and Hugo’s feedback, when addressing the orchestra after each take. After the days recording, our students had a session with John where he showed them in great detail how he set up the studio for recording. He covered how to utilise the space and how he sets up a studio dependant on the size of the orchestra. John Dunkerley is well known for his career recording orchestras using a technique which was developed at Decca. This particular method uses a combination of omni-directional mics, for capturing a coherent image of the orchestra. After a long but efficient and insightful day, our students were grateful to have the opportunity to work and learn from a multiple Grammy award winner and to record with such an incredible philharmonic orchestra from the Royal College of Music. If you want to learn from producers and engineers such as John Dunkerley & Hugo Bechstein plus record in one of the world’s most famous studios, then apply now for our next Advanced Diploma in Music Production and Sound Engineering starting in September 2017.